First of all, let me thank two friends here: Szilárd Biró and Salvatore Abbate. 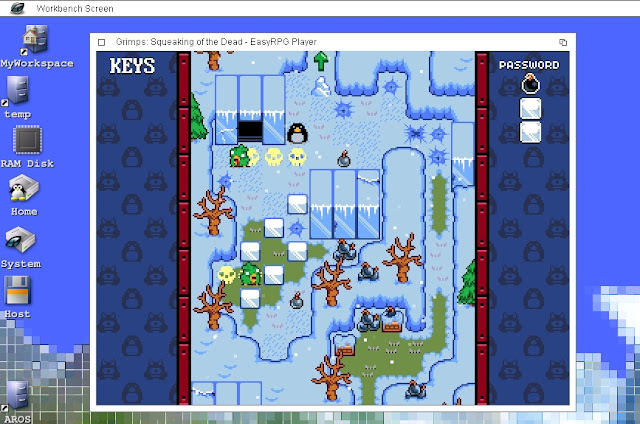 The former, since he ported EasyRPG Player to AROS (and other amiganoid systems), the latter because I didn't notice that program until he submitted it to the AROS Archives, the main repository for AROS programs. 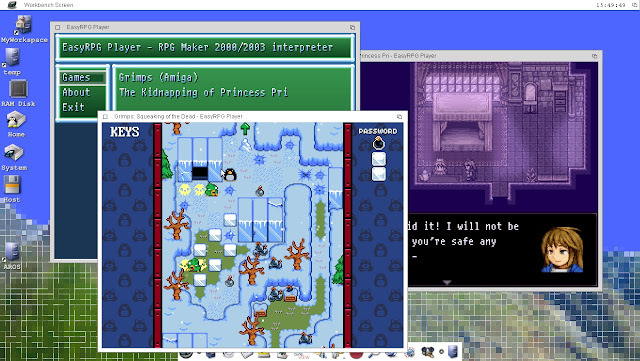 As I had to learn very quickly, EasyRPG Player is an interpreter à la ScummVM for games written with RPG Maker 2000 and 2003. RPG Maker, in turn, is a very powerful game editor for PC, which allows creation of "japanese RPG" games (similar to the ones you'd have played on a Super Famicom or a Sony PlayStation) and not-only. Although 2000 and 2003 are very old releases, they still have a strong community at rpgmaker.net, where you can find dozens of playable games. But the story wouldn't end here. 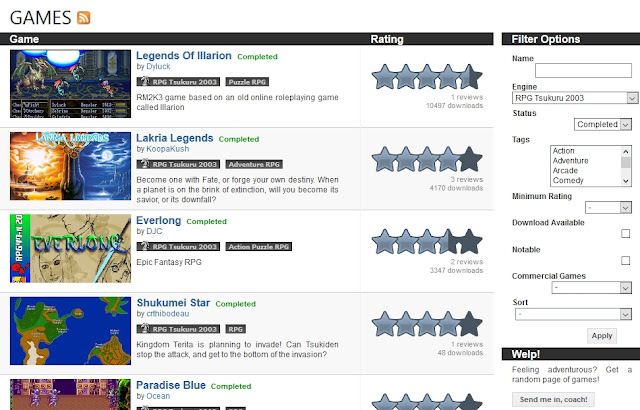 I immediately started to download games to test them under Icaros Desktop and the AROS port of EasyRPG Player. I initially stumbled upon a "show stopping" issue when I couldn't run the program under native AROS (the program just refused to work, while it was starting normally under Linux hosted Icaros), but luckily it worked just good in windowed mode. So, before integrating it into Icaros Desktop, I had to create a little script that would launch it in windowed mode at once. But that was straightforward. I needed little more time to figure out how games were supposed to run: in practice, they all include a Data subdirectoy which must become the 'root' of the game, and this main directory should also include four RPG_RT* files which are normally placed elsewhere. oh no! this bomb wouldn't explode! 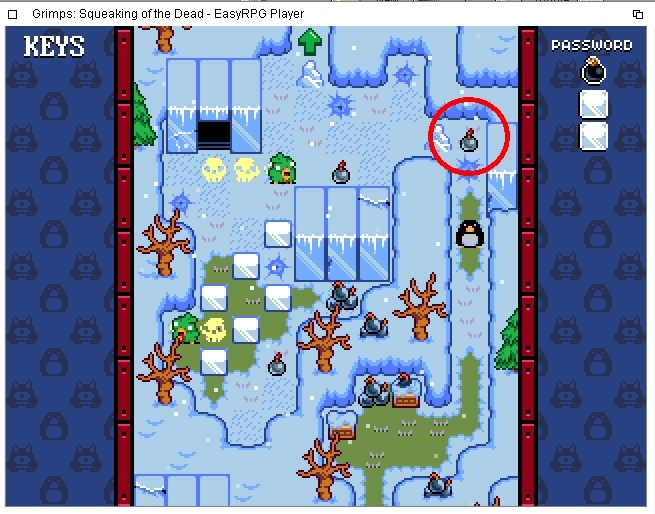 When I had everything in place, I could successfully test many games created by the community, but two of them captured my attention: The Kidnapping of Princess Pri and Grimps: Squeaking of the Dead. The former worked out of the box, while the latter let me play the first levels only: later in the game, in fact, a compatibility issue between EasyRPG Player and the original RPG Maker routines stopped the joy. Grimps is a funny "move the blocks, avoid the enemies and blast the bombs" puzzle game, a sort of medley of Pengo, Bomberman and others. Unluckily for us, after moving bombs they didn't explode as they were supposed to do, so many levels were impossible to win. The issue was already known by both EasyRPG Player coders and Fredrik Brudin, who not only gave me permission to include his game in Icaros, but he even sent me a fixed version of Grimps that would have worked under EasyRPG Player! Victory! With the help of Fredrik Brudin, Grimps now works on Icaros as intended! End of story: I have to thank some other people here: Fredrik Brudin from GoblinGrotto.com for Grimps: Squeaking of the Death, psy_wombats and Liberty for granting me permission to include The Kidnapping of Princess Pri as well. 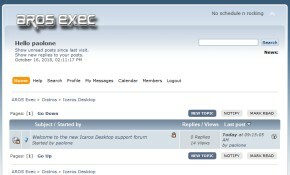 They will both debuct on Icaros Desktop 2.2.6, when the new version will be officially released (Princess Pri has been included also in the recently released beta for testers and supporters).